Toyota USA To Replace Heroic Nurse’s Burnt Tundra Pickup - AutoReportNG "AutoReportNG-The No 1 Car Blog In Nigeria That You Can Trust - AutoReportNG"
As California’s wildfires continue to devastate, the story of a heroic nurse has come to light and attracted the attention of Toyota. The New York Times reports that nurse Allyn Pierce risked his own life to speed through the fire to get to a hospital to care for his patients and ensure they were evacuated safely. Images of Pierce’s Toyota Tundra reveal how close he came to disaster. 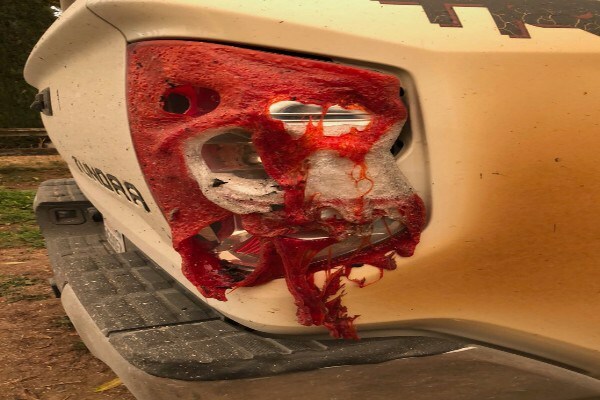 Much of the pickup’s sides were badly scorched by the flames and many plastic parts melted, including the wing mirrors and parts of the front bumper. 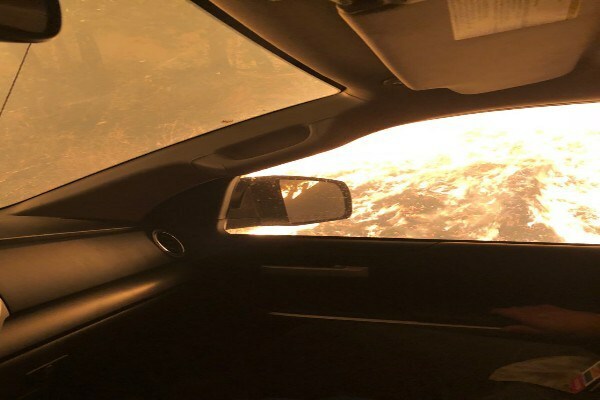 As the fire in California’s Paradise area was burning, Pierce held his coat against the pickup’s side window to insulate himself from the heat. He even recorded a goodbye message to his family on his phone shortly before a bulldozer cleared a path for him and allowed him to escape the inferno. “I was like, ‘I think I’m done. I just kept thinking, ‘I’m going to die in melting plastic,’” Pierce told The New York Times. 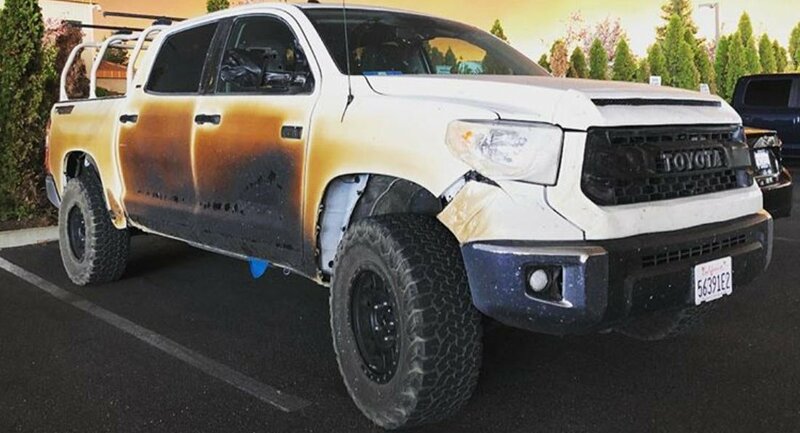 Shortly after Pierce posted a picture of his scorched Tundra on Instagram, Toyota USA was quick to reach out to him and offer him a replacement. “We are humbled you’d risk your life and Toyota Tundra to drive people to safety. Don’t worry about your truck, we’re honored to get you a new one,” the automaker commented. Pierce was particularly proud of his Tundra and had spent a considerable amount of money modifying it. Well, it’s hard to think of anyone more deserving of a free new ride.